The Swedish designers of the Drosselmeyer Design Group confronted a classic problem with the Free-Key in an elegant manner, as they already did with their Nutcracker: This time with the key ring. 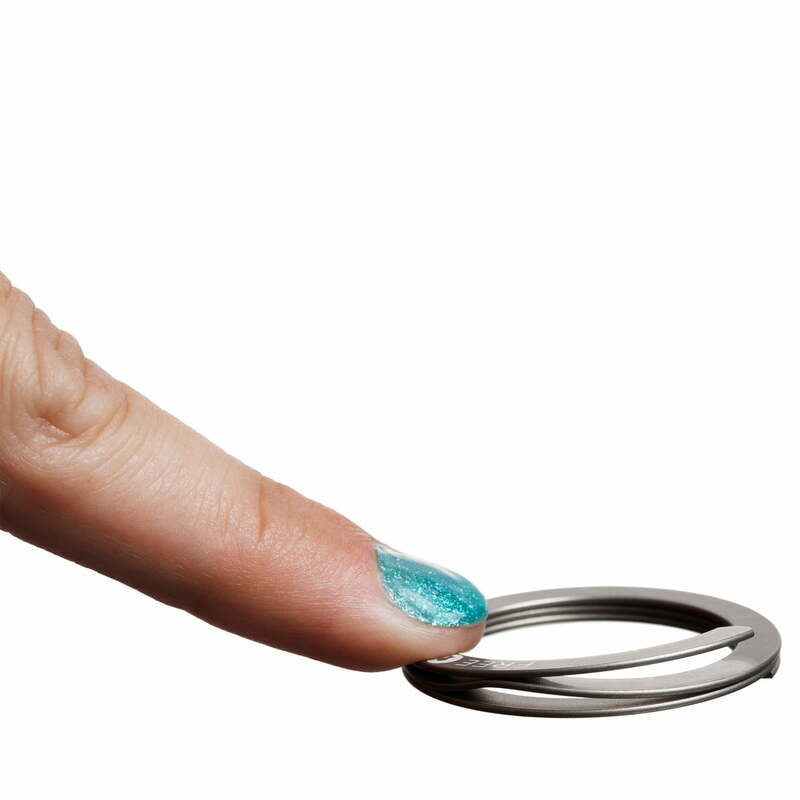 With a soft press on the Free-Key mark, the ring can be opened elegantly and you can change and insert keys quickly and comfortably without damaging fingernails. Therefore, the Swedish designers of the Drosselmeyer Design Group also call the Free-Key a “Nailsaver”. The three included group rings furthermore help to organise your keys. Order your keys by themes such as work and leisure time, creating more space inside the house, trouser pockets and bags. 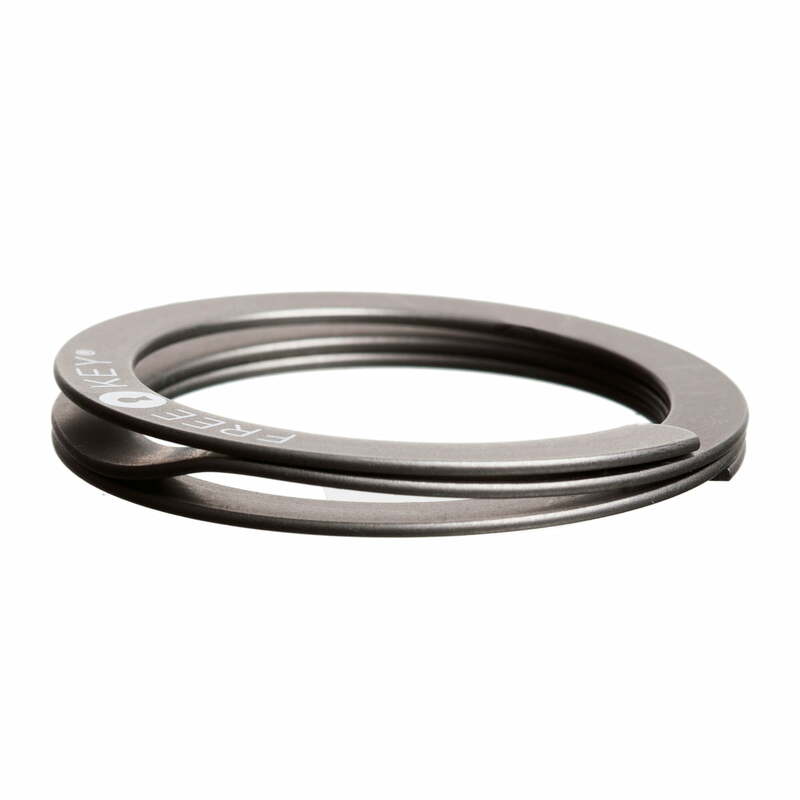 The Free-Key is made of stainless steel and is thus unbreakable. 108 of 212 customers have found this review helpful. When there is no need to have a decorated or some how multifunctional keyring, then this is a great simpple minimalistick keyring that fills it´s purpose 100 %. Single image of the Drosselmeyer Free-Key Key Ring made of stainless steel. The key ring comes with 3 group rings for easy organisation of your keys and it has a height of 0.6 cm and a diameter of 3.3 cm. Single image of the Free-Key Key Ring by Drosselmeyer without group rings. 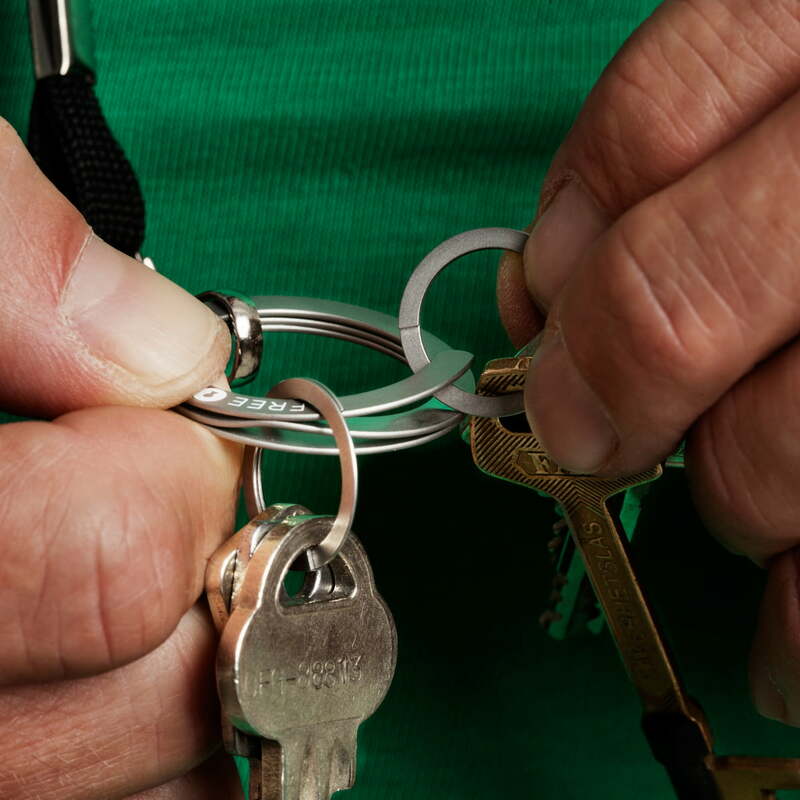 The key organiser Free-Key is made of stainless steel and is thus unbreakable. 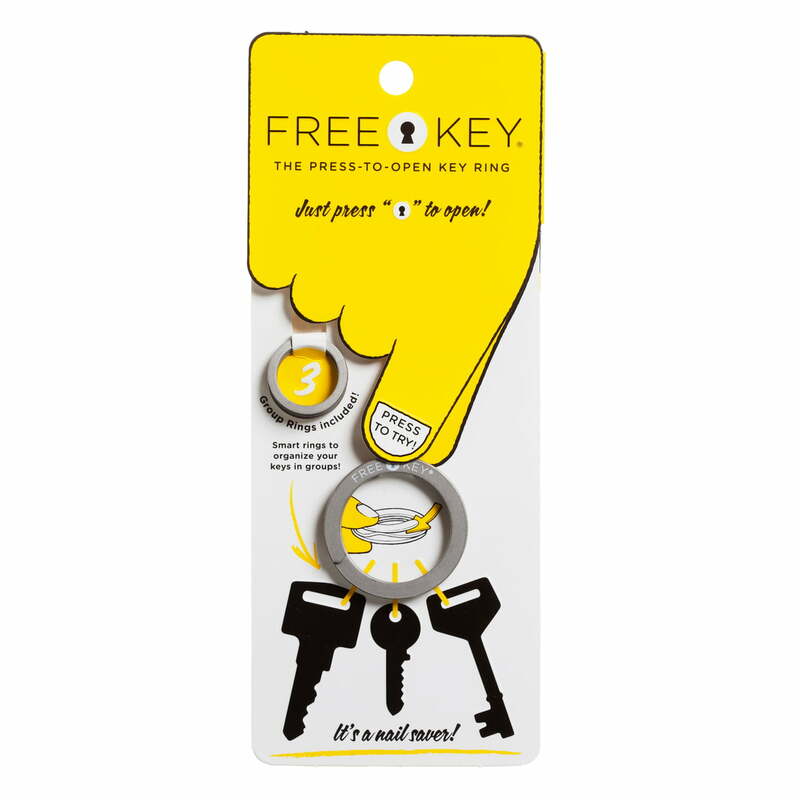 Frontal image of the packaging of the Free-Key Key Ring by Drosselmeyer. The key rings take care that your keys are always well organised, for instance by themes such as work and leisure time. Image of the Free-Key Key Ring by Drosselmeyer in use. 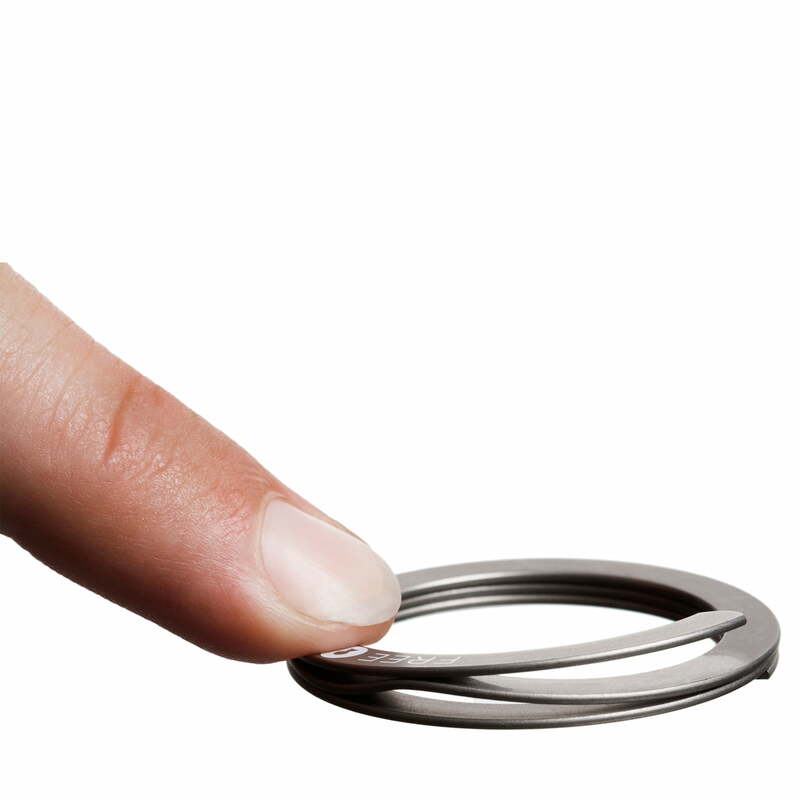 With a soft press on the Free-Key mark, the ring can be opened and you can change keys comfortably without damaging fingernails. This is why the Swedish designers of the Drosselmeyer Design Group also call the Free-Key a “Nailsaver”. Image of the opening mechanism of the Free-Key Key Ring by Drosselmeyer. 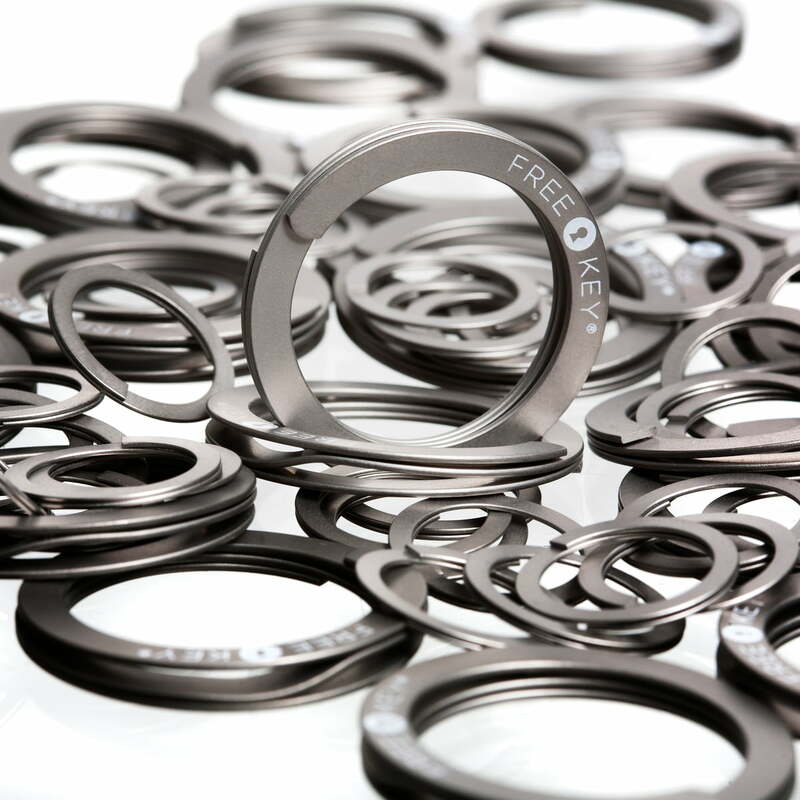 With a soft press on the Free-Key mark, the ring can be opened elegantly and you can change and insert keys quickly and comfortably without damaging fingernails. 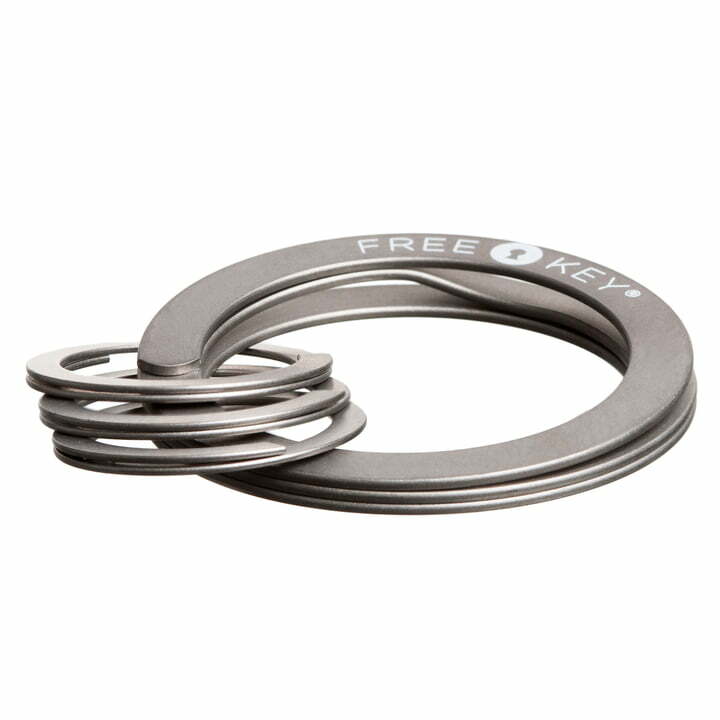 The Free-Key Key Ring by Drosselmeyer does not only help with organising your key ring but is also very nail-friendly: With a soft press on the Free-Key mark, the stainless steel ring can be opened elegantly so that changing keys becomes easy and comfortable.